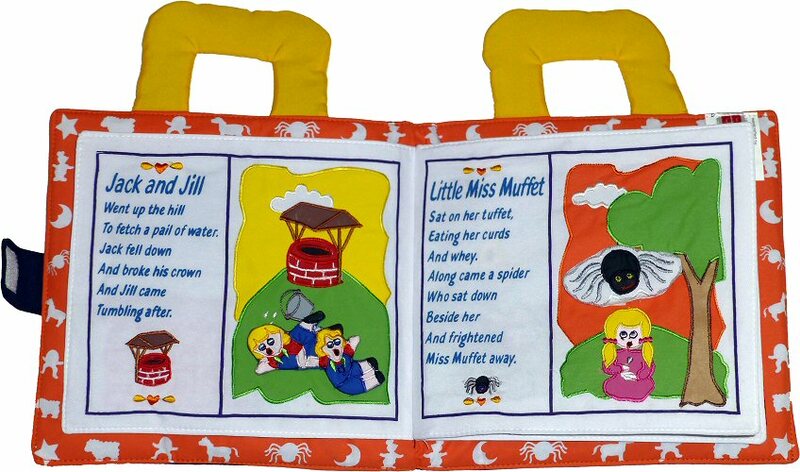 My Favorite Nursery Rhymes is a cloth activity book that combines classic Mother Goose rhymes with the interactive play of soft toy pieces. 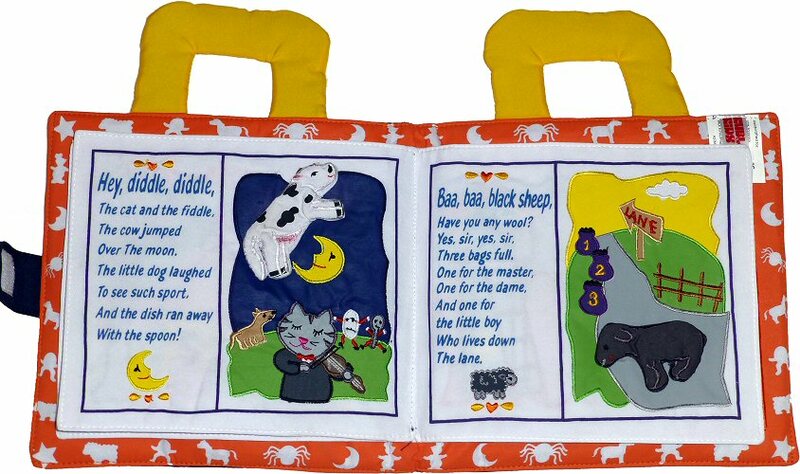 With soft fabric pages and amazing embroidered detail on the front and throughout the book, this My Favorite Nursery Rhymes activity book has movable puffy pieces that let kids act out the rhymes right on the pages. 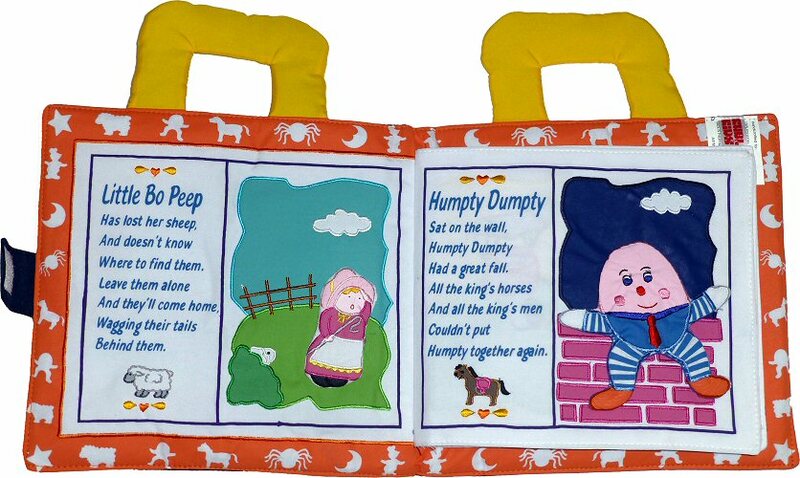 With 8 beautiful pages of full color fun, your child will love helping Bo Peep look for her sheep, securing Humpty Dumpty back up on the wall, picking Jack and Jill up after their fall, rescuing Little Miss Muffet from the spider, sending the cow soaring over the moon, counting the 3 bags of wool, helping the mouse get to the top of the clock, and moving the "twinkling" star around the sky. 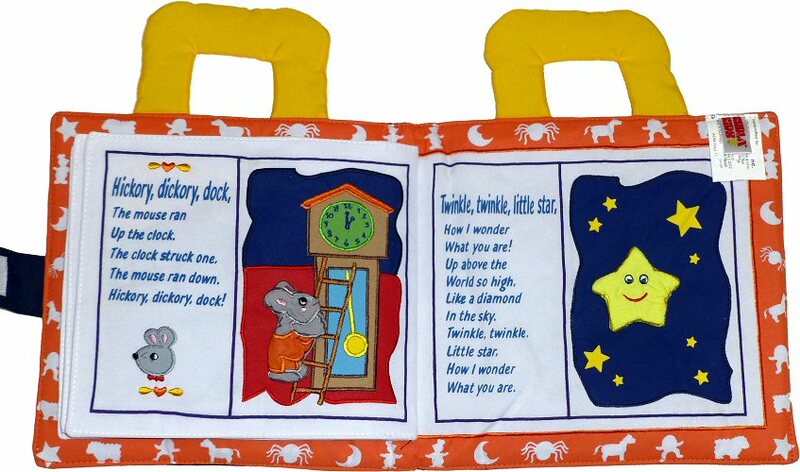 The words to each classic rhyme are printed next to the corresponding picture and toy, encouraging an early love of reading as kids read along and interact with the pages again and again. 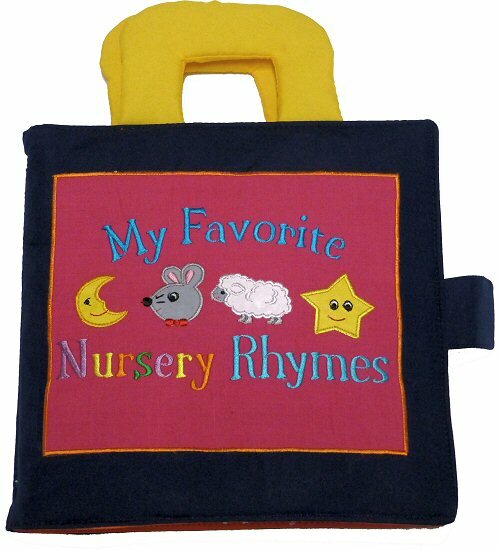 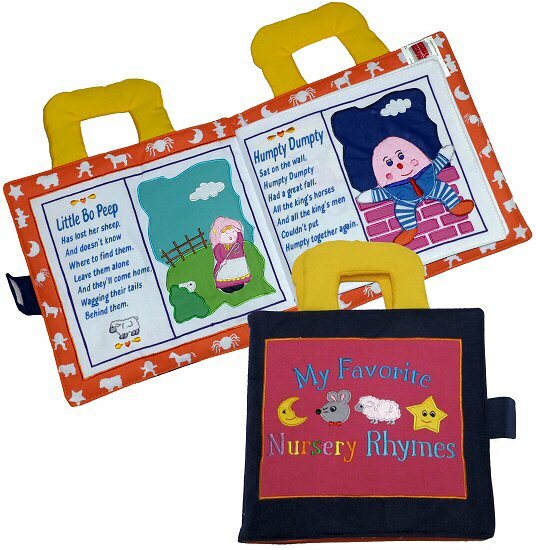 Hand-crafted and keepsake quality, this My Favorite Nursery Rhymes cloth activity book has a Velcro-style closure and a handle for easy carrying, making it perfect for taking to Grandma's house or as a great birthday or baby shower gift.